The Liza Minnelli House is hitting us with yet another local show! 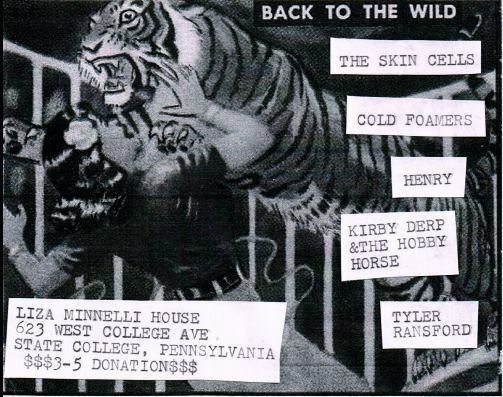 This time featuring THE SKIN CELLS//COLD FOAMERS//HENRY//KIRBY DERP & THE HOBBY HORSE. Show starts at 8:30 and as always $3-5 donations will be accepted. Check out the band pages below and hope to see you there!